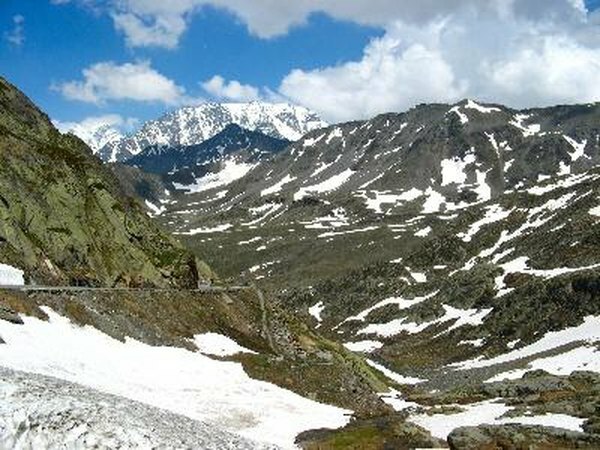 Saint Bernard is a narrow mountain pass connecting Switzerland and Italy. 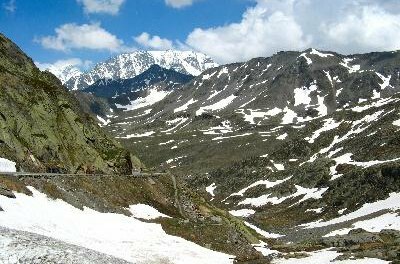 Saint Bernards were bred by Swiss monks as rescue dogs to save travelers stranded in the formidable heights of the Alps. Their thick coat and skin helped them survive in the cold temperatures of their high-altitude homeland, but these positive traits also increase their risk of developing skin problems. Pyoderma is a bacterial skin infection that is also known as pyotraumatic dermatitis, wet eczema or "hot spots." Bernards are particularly vulnerable to this condition due to their heavy coat and wrinkled skin, which makes it hard for them to groom and keep their skin healthy. The bacteria responsible for pyoderma are actually on your dog's skin all the time but do not pose a threat to a healthy dog. Other skin problems weaken your dog's immune system, allowing these bacteria to grow out of control. The worst part is that your dog's first reaction to a hot spot is to lick and scratch at it, which actually makes the irritation worse and encourages additional infections. Veterinarians often prescribe antibiotics, in the form of oral medicine or shampoo, as well as steroids or other medications to alleviate the itching, according to Powderham Veterinary Group. While pyoderma is very prevalent in the Saint Bernard breed, their grooming difficulties, thick coat and wrinkled skin are also great at harboring other pathogens. Various bacteria, including the species responsible for mange, as well as fungal agents like ringworm can be a big problem for these big dogs. Infections are difficult to locate in the Bernard's mounds of fur and skin, so it is difficult to effectively treat them with topical ointments. To a traveling flea, your Saint Bernard is like a long-forgotten paradise and free buffet. You will be surprised at how many fleas your dog can feed on his own, especially if you give them a week or two to multiply. Mites can also cause unsightly skin damage and hair loss, a condition called mange, and can infest both dogs and cats. Pest control should be a top priority for every Saint Bernard owner, for the sake of everyone in the household. Due to their large size, flea baths and combing sessions are extremely time-consuming and tedious, so preventive ointment or other parasite medications are recommended. It is also a good idea to minimize the time your dog spends outside during the spring and summer. Consistent grooming and routine inspections are the key to keeping your Bernard's skin healthy. Giving such a big dog a head-to-toe examination every week can seem like a daunting task, but it is definitely worth your time. Brush your dog several times a week to remove dead hair, which can foster infections, and get rid of tangled hair that can irritate your dog's skin. Always groom your dog before bathing him to prevent moisture from getting trapped underneath mats of hair. It is also a good idea to combat potential allergens, as they can make your dog's skin problems much worse. Vacuum often and keep the pup away from chemicals and fumes. Dust, pollen and pet dander can also cause irritating skin allergies. What Is in the Jug a Saint Bernard Wears?